Married, mother of five adult children, one stepchild. Foster Mother to three children, ages 11 and 9 and 6, boy and 2 girls. Hoping to Go to adoption. YAY! Trying to adopt 2 more. Yes, I am a glutton for punishment. All of us are chicken lovers; Silkies, Cochins, Frizzles, Sussex and Americanas. Just hatched out about 13 chickens, and both bators are pretty full. Planning on raising Silkies, Cochennins, Frizzles for sure. 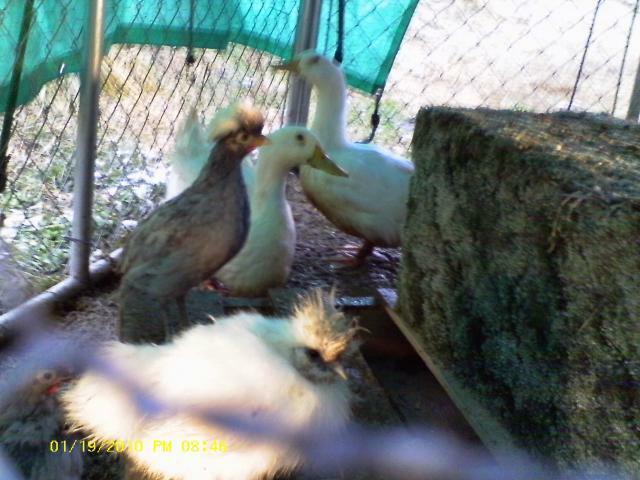 We also have two pekin ducks, Aflac and Waddles. two english bulldogs; madison and porkchop, one mixed rottie; littleboy and one Cat, Prissy.